Infutor and Ruf Strategic Solutions have entered a new life stage, joining forces to deliver the next generation of identity resolution and data-science driven solutions. Infutor is the expert in Consumer Identity Management, enabling brands to learn everything they need to know about consumers to instantly make informed marketing decisions. Ruf brings advanced marketing analytics and segmentation solutions that boost consumer engagement, drive conversions and maximize marketing ROI. 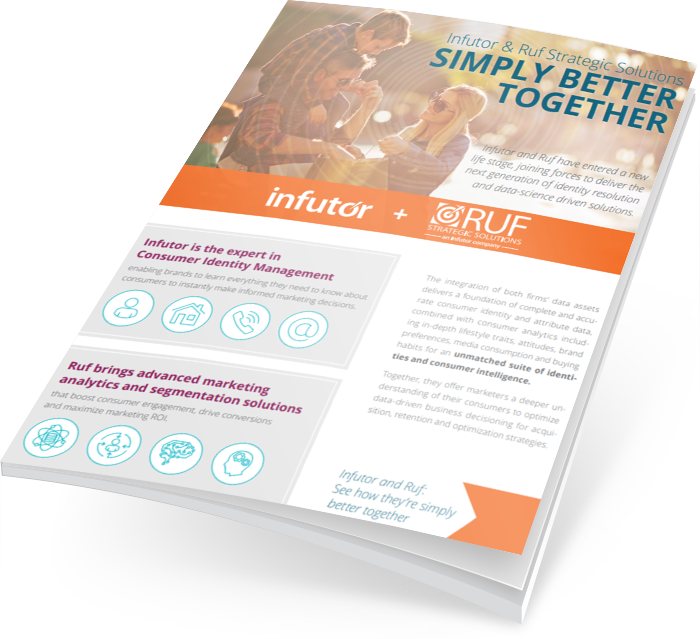 See how together Infutor and Ruf Strategic Solutions are arming marketers with the tools for enhanced reach and improved omnichannel engagement.